Seven-Race North American Division Opens March 23-25 At St. Petersburg, Fla.
DAYTONA BEACH, Fla. (Mar. 13, 2012) – A Ferrari, first and foremost, is a work of art on wheels. But that doesn’t mean it should be displayed in a gallery. The natural environment for a Ferrari is of course the race track – a competitive canvas. To allow Ferrari owners the opportunity to fully enjoy their cars in that environment, the Italian automaker created the Ferrari Challenge in 1993, consisting of various international competitions culminating in a world championship. Since 2001, GRAND-AM Road Racing has sanctioned the challenge’s North American division, which begins the 2012 season at the Honda Grand Prix in St. Petersburg, Fla., March 23-25. 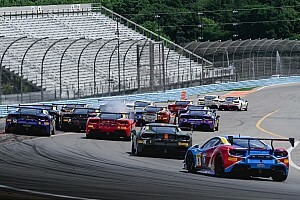 Underscoring the Ferrari Challenge this season is a significant development indicative of GRAND-AM’s growing equity with European automobile manufacturers. This year marks the introduction of the Ferrari 458 Italia Grand Am built specifically for the Rolex Series’ production-based GT class. Five of the new cars competed in the season-opening Rolex 24 At Daytona, and were cheered on by a record crowd that included a large Ferrari car owner corral. 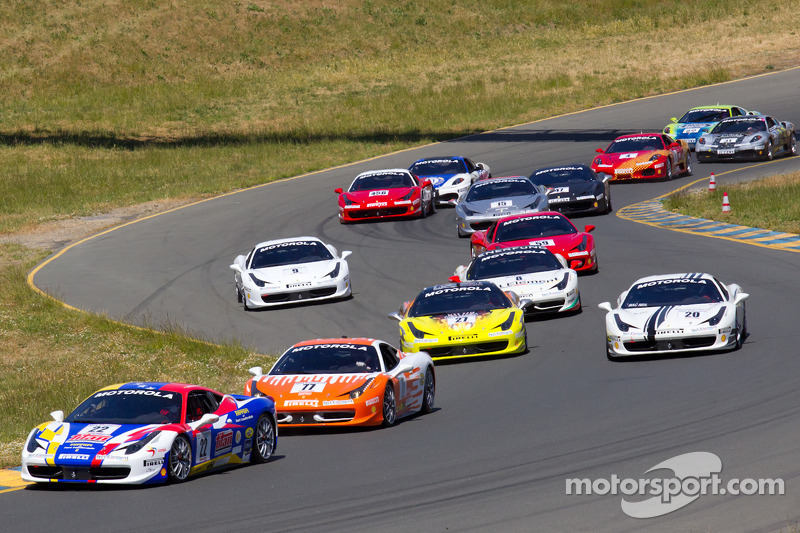 Concurrently, the Ferrari Challenge is now contested exclusively with 458s. GRAND-AM requires that any new challenge participant with no previous history in the challenge have a coach for their first season. For drivers, the Ferrari Challenge has evolved into both a destination and a proving ground for those with further aspirations, like Enzo Potolicchio. Potolicchio – the 2010 and 2011 North American Ferrari Challenge champion – co-drove to a Daytona Prototype victory in the 2011 Rolex Series finale at Mid-Ohio, then went on to finish second in the Rolex 24 last month, co-driving a DP. He looks to challenge for the DP championship this year. 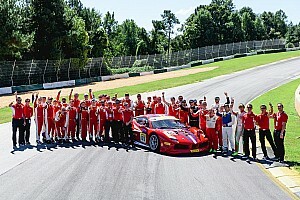 Another Ferrari Challenge “graduate” is Jeff Segal, the 2010 Rolex Series GT champion. Segal, a Philadelphia native, became the youngest Ferrari Challenge winner in 2003 at age 17. He currently co-drives the No. 69 AIM Autosport/Team FXDD Ferrari 458 Italia Grand Am, coming off an eighth-place finish in the Rolex 24. 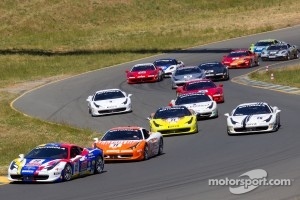 The Ferrari Challenge was created in 1993, and expanded with a full season of races in North America in 1994. Following the 2012 opener at St. Petersburg, the series continues at Infineon Raceway on April 27-29; Mazda Raceway Laguna Seca in Monterey, Calif., May 18-20; the Canadian Grand Prix at Circuit Gilles Villeneuve in Montreal, June 8-10; Indy Toronto, July 6-8; Lime Rock (Conn.) Park, July 20-21; and the championship finale at Homestead-Miami Speedway, Sept. 28-30. At conclusion of all North American races, drivers having competed in at least three events will be invited to participate in the International Finals, joining top competitors from the challenge’s international divisions.